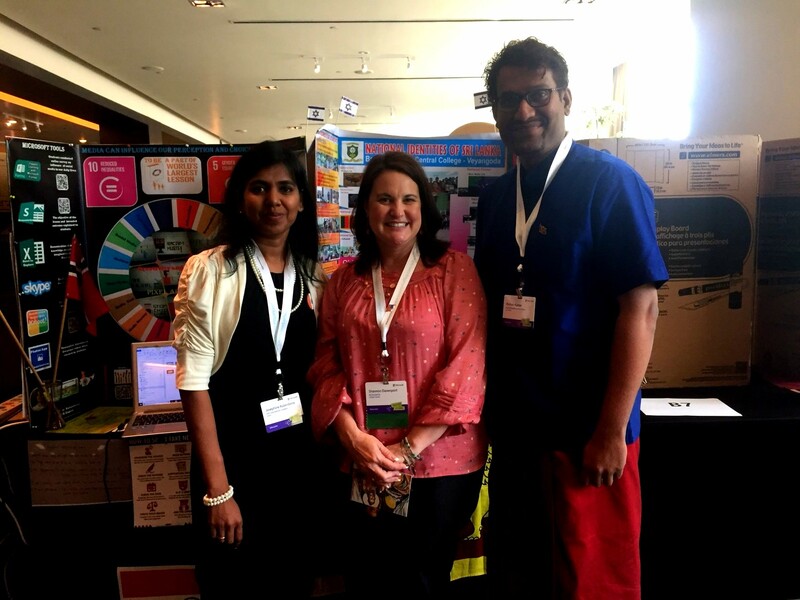 On March 13-15, 2018, Jennifer Morgan, Coordinator of Professional Development for NCCE, and Shannon Davenport, Professional Learning Specialist for NCCE, represented NCCE and our trainers at Microsoft’s Global E2 event in Singapore. The following are their reflections on their experience. For more information about the Microsoft Educator Expert Program, the E2 event, or their experiences, contact NCCE. For years I had heard about this wonderful Microsoft event that participants said was life-changing, and for years I had wanted to go. Each year I applied to go, and for one reason or another I couldn’t attend; however, this year was different. The call came in February inviting me to participate at E2 in Singapore as part of Team USA, and from that moment on my life was forever changed. If you are like my family and friends, you may be wondering what this E2 thing is. E2 is the Microsoft Global Educator Exchange, think the Olympics of Microsoft, where 400+ educators, school leaders, and Microsofties from around the globe come together to collaborate and share their experiences integrating technology, supporting student learning, and transforming education globally by participating locally! February and March kicked off with global and regional calls explaining the events and requirements for E2. Yep, you heard me…REQUIREMENTS! We had to design a display board (science fair style) and showcase a lesson that we had done. If this blog post had sound, you would hear screeching wheels and an explosion. Why the theatrics and sound effects? I haven’t been in the classroom for over 5 years; my position now entails providing professional development and tech support for educators. I haven’t done any cool lessons with students in years nor did I have time to come up with something. Faced with the thought of meeting AMAZING educators doing AMAZING things, I felt completely inadequate. Thank heaven for my colleagues and friends who rallied around and reminded me of a project that I had been working on for more than a year with a group of Utah teachers in Davis School District. On March 10, 2018, I began my journey, a 25+ hour plane ride with a few stops in between. I finally arrived at 1:00 am at the Changi Airport in Singapore. With exhaustion and anticipation, I made my way to hotel. With a good night’s sleep and renewed energy, I met up with Team USA, and as we came together with other teams from around the world, the fun began. The next three days were filled with inspiring presentations, networking, and geeking out with technology like Micro:bit, HoloLens and Minecraft. Each day flew by and was a whirlwind of learning. Mornings were filled with inspiring keynote addresses that shared stories of self-discovery, persistence, and the belief that we must continue challenging ourselves as educators to keep growing. The rest of the days were spent in breakout sessions learning about Minecraft with Stephen Reid, Skype in the Classroom with Emma Naas, and teaching globally with the Sustainable Development Goals with Kristine Holloway, just to name a few. We had the opportunity to take the MCE and MOS certification exams and enjoyed an evening of networking with the product teams from Microsoft. Every day was inspiring, seeing and hearing what educators were accomplishing in their classrooms under the best and most challenging circumstances. Between breakout sessions and networking opportunities, we had to accomplish the Educator Challenge. Teamwork, collaboration, and communication were foundation of this challenge and the objective was to hack an existing lesson plan. We had to come together to transform a lesson and create a video that included abstraction in computational thinking. Our lesson needed to include equity for all students and empower student to be active participants. Again, if this blog had sound you would hear screeching breaks and the rewinding of a tape. YOU WANT ME TO DO WHAT? The thought of working with educators that I have never met, some who don’t speak English, hacking a lesson that has nothing to do with content I am familiar with, and accomplishing this in less than 7 hours was enough to stretch me to my limits. With butterflies in my stomach, I went in search of Team 53. Arriving at our designated table I was welcomed by an amazing group of innovative educators from China, Korea, Japan, Finland, Belgium, South Africa and our Coach Emma from Sweden. My heart skipped a few beats as I realized I was the only female, but I figured “what the heck.” Armed with Microsoft Translator, our devices, and a desire to win, we dug in and created a lesson that encompassed all the pillars of computational thinking, allowed the students to think locally and globally, and become the teachers of tomorrow. Day one and two were a whirlwind; my mind was reeling from everything I had seen and all the inspiring educators I had met. The final day of E2 arrived, and for so many reasons I was dreading this day, mostly because it meant that this experience was over but also because it meant it was time for the Learning Market Place. Today was the day we showcased our lessons. Still nervous that what I was sharing would never hold a candle to the remarkable lessons I had seen and heard about from other participants, I headed down to the Kiwi Lounge to set up my board. Walking through the room I saw mind-boggling projects and dedicated educators who were doing wonderful things with students. Imagine over 300 educators from 90+ countries crammed into one space sharing ideas, experiences, and the everyday ways they are integrating technology into their classrooms to help students grow and become the leaders of tomorrow. One participant brightened my day. In very broken English, this kind educator looked at my project, asked a few questions, and said “You are teaching teachers to focus on the heart of a student not just the mind and using technology. It appears what they are learning from you has significant impact on students.” With those kind words, I realized that my project did impact student learning and although I wasn’t in the classroom doing it myself, what we had spent the last year doing was making a difference. The marketplace ended on high note, and now it was time to celebrate 3 very memorable days. Four hundred+ educators, school leaders and Microsofties dressed in our finest or traditional country attire came together to celebrate our efforts. Awards were given for the Educator Challenge, and Team USA walked away with 3 awards. I was especially honored that Team 53, the team I was on, took first runner-up in the Abstraction Category. With the awards ceremony over, the music was cranked up, and we danced the night away. I was told that going to E2 was a life-changing experience but I really had no idea. Not only did I get to see and experience the sights and sounds of Singapore, but I spent three days surrounded by awe-inspiring educators and school leaders and met many Microsoft employees who believe in educators and the difference we can make. As I boarded the plane for home, I reflected on this experience. I was exhausted and inspired, but had a renewed sense of purpose! Locally or globally we still can come together and make a difference…teachers can change the world one student at a time; we are not alone, and Microsoft has helped pave the way to bring us together both physically and virtually! Microsoft truly cares about students and teachers. They listen to us and want to help! No matter how insignificant you think your efforts are, they do matter, don’t give up! When you don’t believe in yourself, there are others around you who do! The Microsoft Innovative Educator Community is the BEST PLN on the planet! 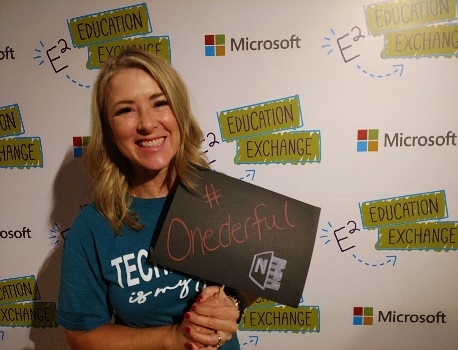 Attending Microsoft’s Educator Exchange, E2, was an amazing experience that I wish could be gift wrapped, tied with a gold ribbon, and given to every educator. An offer such as this is truly a leap-before-you-look experience! By embracing an unknown such as E2, I was able to experience so much professional and personal growth. This rejuvenating experience allowed me to be immersed in a diverse setting among educators from all over the world with one common goal… to empower our students through innovative teaching. Educators that simply love to learn gathered here to share and celebrate their work with students. If you listened closely, you could hear sounds of excitement as Skype mates met for the first time face to face. Many lifelong friendships blossomed, bridging cultural differences throughout the world for the good of our students. Over the course of the event, we worked as one to design lessons supporting 21st-century skills such as computational thinking. Imagine five educators with very diverse backgrounds from computer science to kindergarten working, planning, and laughing together in pursuit of one common goal. Each with Office365 accounts in a unique language collaborating and learning together. At this moment, I was in awe of the beauty of technology eliminating language barriers and making our world so small. 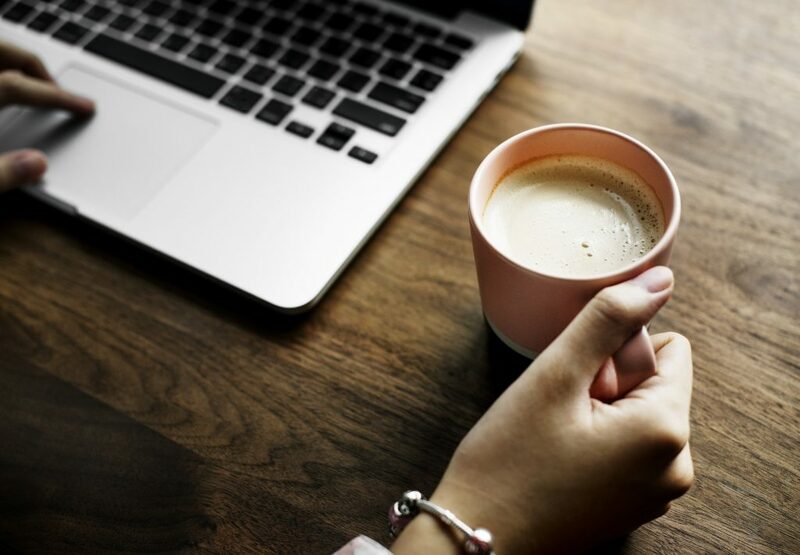 We also showcased the use of Microsoft tools that are transforming learning, collaborated with product teams, and earned certifications, like the Microsoft Certified Educator (MCE) to demonstrate competencies in educational technology. All of which, allowed us to realize we are part of something much larger and together we are stronger. E2 leaves inspiration and humility to bring back to our daily work. Gifts that allow us to learn and be more for everyone around us contributing to the betterment of future generations. Microsoft Train the Trainer Event Announced for NCCE Week in Portland!